Above scan is from the no. 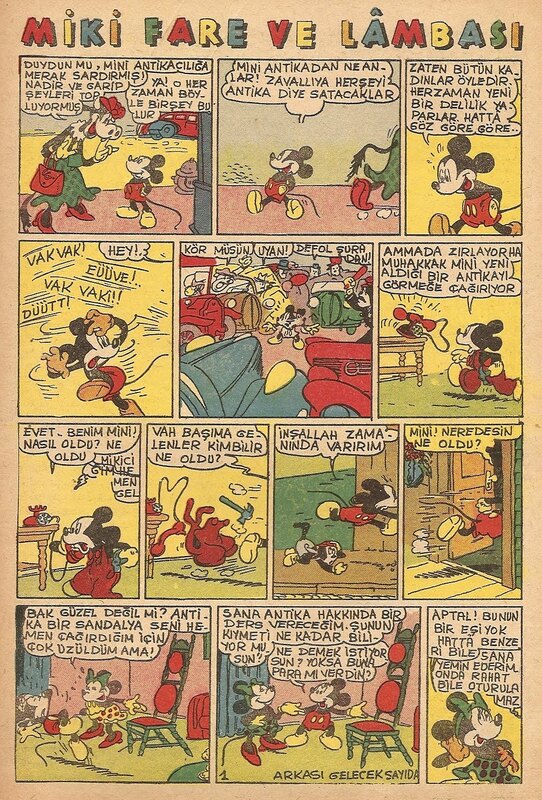 257 (dated March 29th, 1941) of Turkish weekly children's magazine Yavrutürk, featuring the first installement of 'Miki Fare ve Lambası [Mickey Mouse and His Lamp]' which happens to be the first color edition of a Mickey Mouse strip in Turkey. 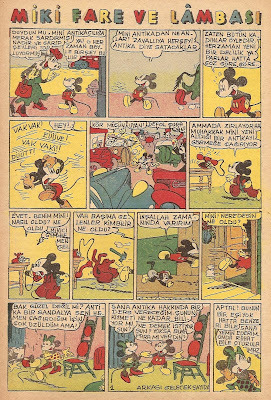 'Miki Fare ve Lambası' is an abridged and colorized Turkish edition of a US daily newspaper continuity from 1939-40 known as 'the Miracle Master'. It was serialized in Yavrutürk till (including) no. 286 in a total of 30 parts with one page each issue.